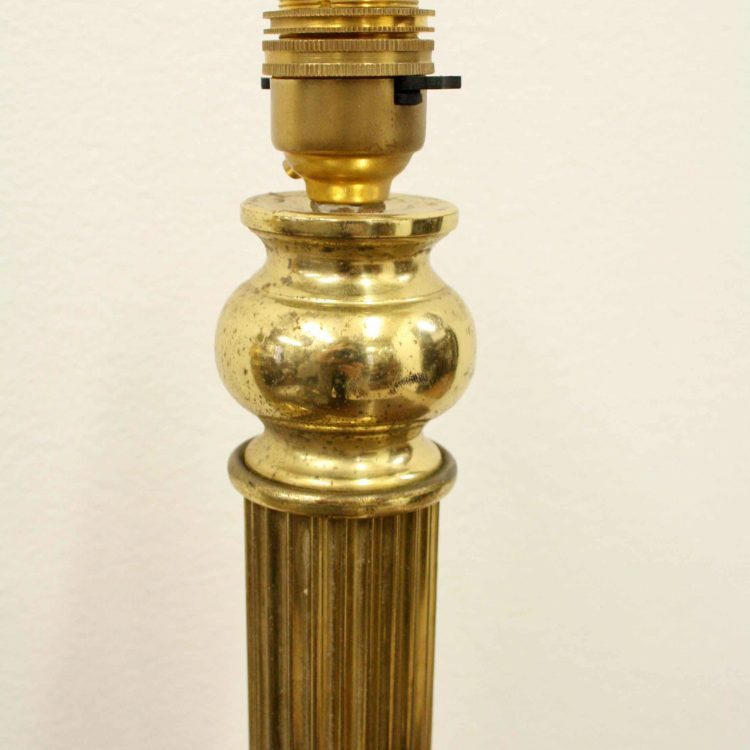 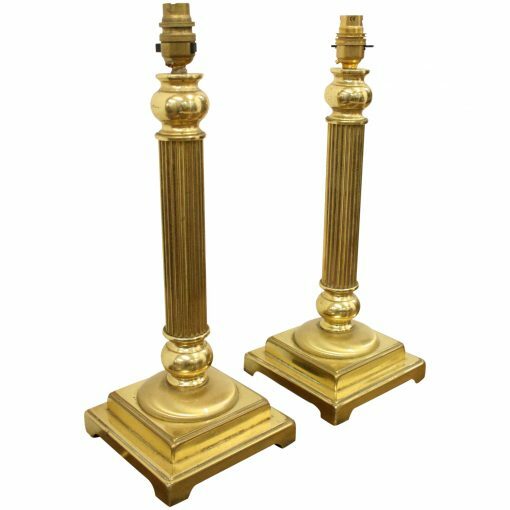 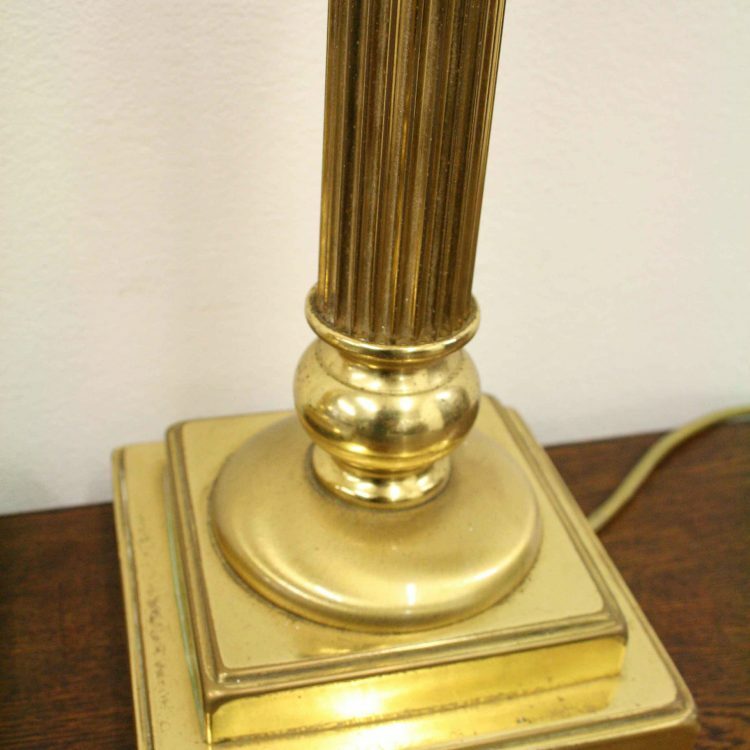 20th Century pair of Victorian style cast brass column table lamps. 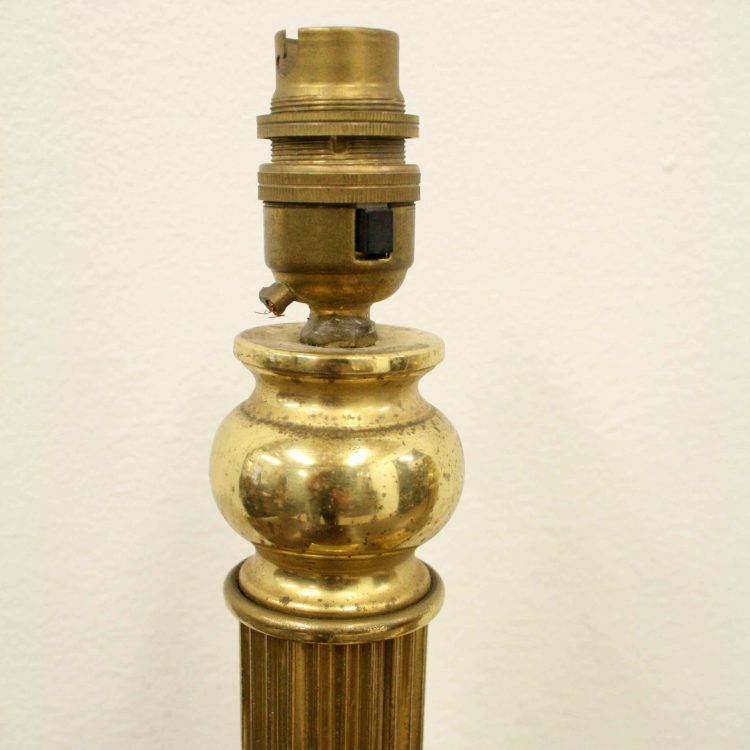 The bulbous top over a fluted column and a bulbous section again, both standing on a square tiered base and finishing with a simple bracket feet. 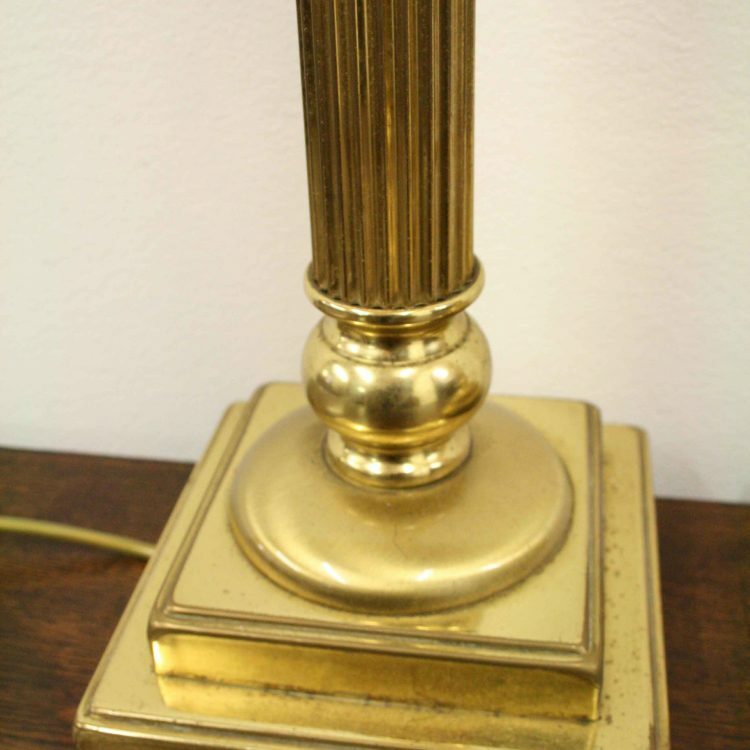 43cm high x 16cm square.